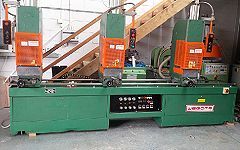 Wegoma WSA3TV three combination head welder, transom/transom/transom or any other, i.e. corners or cruciform. All ready to go.